Party after party, light up the festive season with GUERLAIN and be prepared to dazzle your way through the celebrations. 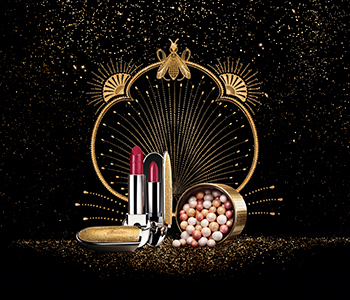 The limited edition GUERLAIN Christmas Makeup Look has been created to celebrate the house’s 190th anniversary, so you can expect glamour - and lots of it! From golden, bronzed and jewelled shimmers for the eyes and face, to lipsticks and glosses in luxurious metallic finishes, this exquisite collection of collector’s pieces will ensure your makeup is radiant.